Housekeeping: The tenant agrees to make the premises in a good state of cleanliness. From the 1st of January 2018, the city tax of 0,80 € per night and per person is to be paid upon arrival. Idyllic, peaceful, yet near to all amenities and wonderful hosts. We stayed for a week, the property is in an idyllic spot with a huuuuge garden and everything you could need. It is only ten minutes from Bayeux which is a beautiful town with many supermarkets and shops, the light show at the cathedral is not to be missed. Marylene the owner came and met us and could not have been more helpful and charming especially with our two girls who absolutely loved our stay. We would definitely return again. We loved the time that we spent at this property. It is large and roomy for a family as well as clean and quiet. The surrounding gardens are huge and fun for the kids. The owner's dog is so much fun to play with! The drive to Bayeux is short and easy and it's worth the drive to be someplace quiet and comfortable. The fully equipped kitchen made it even easier. Merci beaucoup pour votre gentil commentaire . J'ai aimé vous recevoir dans notre maison de vacances.Bonjour à toute la famille, et un gros calin de la part de mouss à Marylène, votre fille!!! The map of the locality of the cottage is not accurate but Marylène did provide me with a telephone number and, when I called, and told her that we were outside the village church, she drove to meet us and we followed her to the cottage on Route de Saint-Leger. 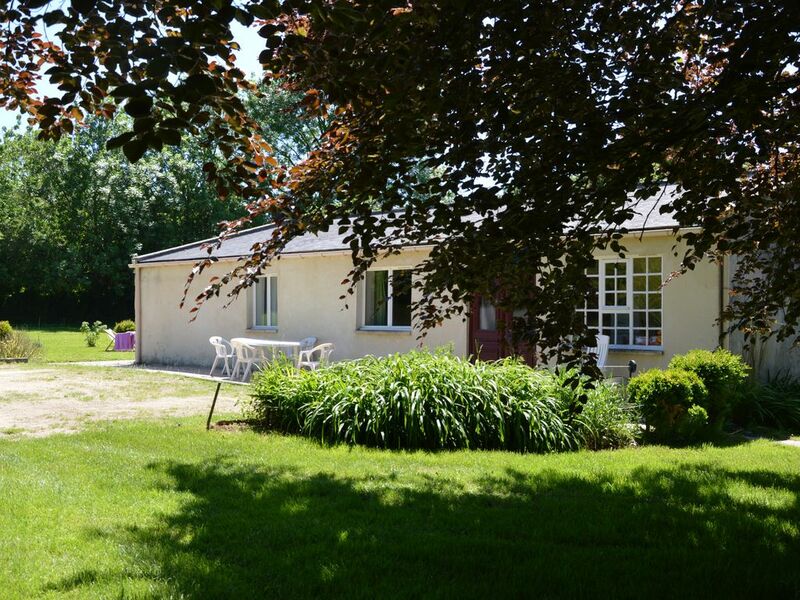 The cottage was perfect for our requirements and a good base for visiting Bayeux and the British D-Day landing beaches. The cottage is near to Caen Airport. This is one cottage that I definitely intend to re-visit. Marylène is very considerate, friendly and helpful. Die zwei Wochen im Häuschen auf dem großen Grundstück haben wir genossen. Alles war perfekt. Das Haus ist liebevoll gestaltet und die Gastgeber helfen bei allen großen und kleinen Problemen. Der Weg zum Meer ist gut machbar und Bayeux eine wunderschöne Stadt. Gerne kommen wir wieder.